Even if film makers have tried to increase the value in cinema going by offer us films in 3D the last couple of years, it is within the books you can really enjoy that extra dimension. Compared to films the books offer you to travel inside the characters mind and hear there thoughts and understand why someone choose to act like they do. The Bond films can never offer you to travel inside the mind of Agent 007, but the books sure can. And that is one of the reason that they are so delightful. Below you can see a short passage from Ian Flemings Live and let die, the second novel in the series. This is the beginning of chapter 20. IMMEDIATELY BOND understood why all these barracuda and shark were lurking round the island, how they were kept frenzied with bloodlust by this nightly banquet, why, against all reason, the three men had been washed up half-eaten by the fish. Mr Big had just harnessed the forces of the sea for his protection. It was a typical invention – imaginative, technically foolproof and very easy to operate. Even as Bond’s mind grasped it all, something hit him a terrific blow in the shoulder and a twenty-pound barracuda backed away, black rubber and flesh hanging from its jaws. Bond felt no pain as he let go of the bronze propeller and threshed wildly for the rocks, only a horrible sickness in the pit of his stomach at the thought of part of himself between those hundred razor-sharp teeth. Water started to ooze between the close-fitting rubber and his skin. It would not be long before it penetrated up his neck and into the mask. So as I have said before, If you have not read the Bond books yet you have a great treat in front of you. Especially since there are no news what's so ever on the upcoming Bond film. 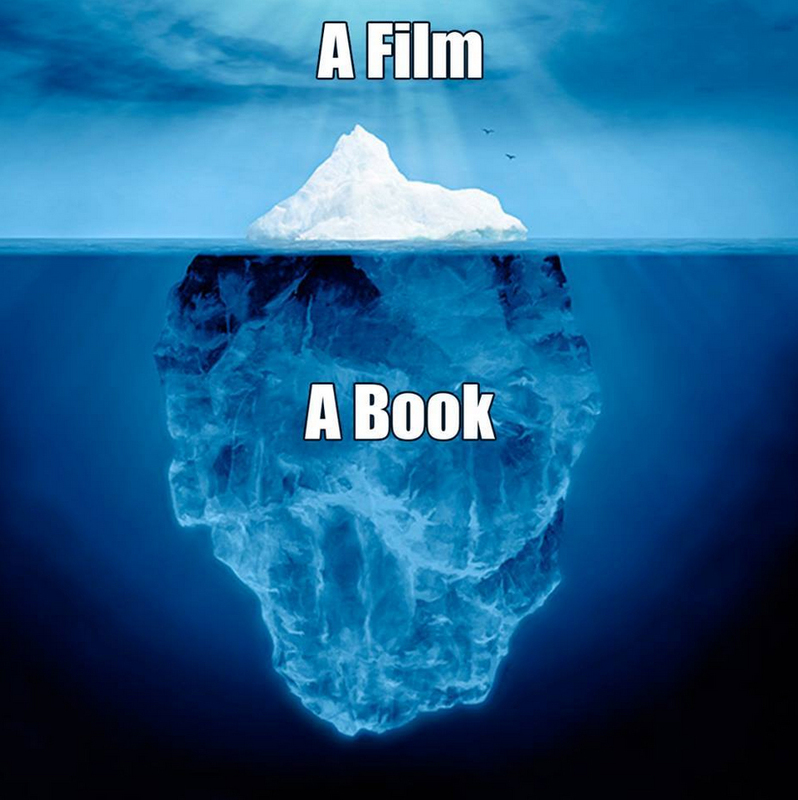 Hopefully you will understand that films, compared to books are only the top of the iceberg. You can order your first James Bond book from Amazon UK here, and Amazon US here.